A video shows a police officer kicking a handcuffed teen in the face and then lowering his knee on the teen’s neck. Sargent Gustavo De Los Rios has been charged with misdemeanor battery while the individual he assaulted stands charged with battery on a police officer. The boy was stopped with his mother. He was wanted in connection with a burglary. According to the officers, the teen resisted arrest and attempted to fight the police officers. They also say that he fled the scene at which point, the officers used a taser to subdue him. The official police report does not mention that De Los Rios kicked the teen, but bystanders were recording the scene with their cameras. The video clearly shows De Los Rios kicking the teen in the face. Police officers have broad leeway to use physical force against those who are resisting arrest. According to the police report, the teen punched and kicked the officers who were attempting to subdue him. But once he had been tased and was in handcuffs on the ground, the threat was logistically removed. The police officers were no longer in danger. At least, this is the argument that would be used by a prosecutor in a case against your typical criminal defendant. The question then becomes: To what extent does the badge entitle you to commit acts of violence against defenseless teenagers? In order for the law to be respected by those expected to abide by it, those who enforce it must abide by it themselves. When citizens see the law merely in terms of a power dynamic, the whole illusion that it’s there to protect the peace and maintain order falls apart. But prosecutions often only happen when there is irrefutable video evidence that shows the misconduct. In other words, the standard of proof is much higher when prosecuting a police officer than it would be when prosecuting an average citizen. De Los Rios is not the only police officer to be charged with kicking a handcuffed suspect. Miguel Figueroa was suspended (with pay) in May after video evidence turned up of him running toward a handcuffed suspect and delivering a kick. While in some cases, it may be easy for officers to explain away violence toward suspects when there is a “credible threat” of violence to themselves, it becomes nearly impossible to explain why violence against a prostrate and handcuffed suspect is necessary. In addition, a crime like this will not tend to harm a police officer’s standing within the department. De Los Rios had been charged earlier on domestic violence charges while Figueroa was merely suspended for his acts against a handcuffed suspect. Both were allowed back on the force despite having apparent anger management issues that were prone to erupting in violence. The Skier Law Firm P.A. 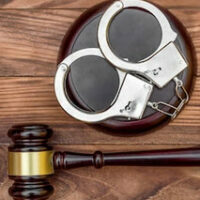 defends our clients from criminal charges in the West Palm Beach area. Give us a call or talk to us online to set up an appointment today.